Online test engine as name suggest that this is test engine, where Administrator will arrange online test for his student. It is basically designed for educational institutes so that they can hold all their exams online. Thus a student can appear for exam online and can get it evaluated immediately. In this, enrolling students, creating tests, assigning it to students and maintaining history of results is all done, thereby reducing paperwork. Manage Student list and give authentication to student. Facility to activate user for particular time period or set expiry date. Search student by Id,Name,College,Qualification,Mobile,Email,Registration Date etc. Export to excel student list. Track records of registered college user and Companies. Search records by College Name ,location ,company name. Create Test Category wise like Full length test,Chapterwise,Sectionwise,company wise. Facility to set expiry date for Test. Upload Excel format Test Sheet to add questions. Facility to create Free or Paid Test. 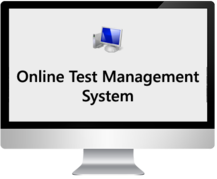 Manage Test like edit,delete , modify expiry date etc. Facility to take print of Test Paper in proper format. View Test Appeared Students list. 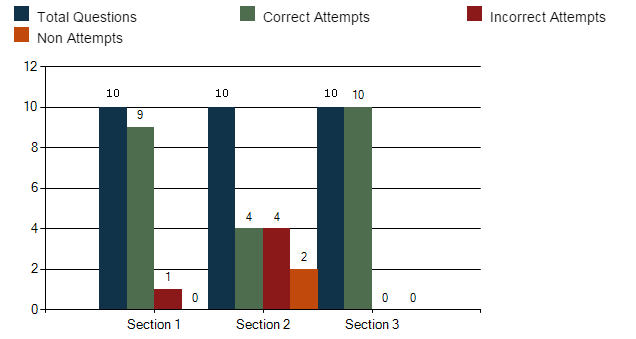 View students Score Test wise or Date wise. Facility to export to excel result or print pages. Manual paper check facility for descriptive type questions. Generate Paper Set of Test,Assign Paper Set, Print Paper Set. Track records of College Student Data list posted by Colleges. Facility to search records ,export to excel data,Assign records to selected companies. View Assigned Records to Companies. Manage Job posted by Companies. Manage Student Application for Job. Keep history of Students discussion forum. Facility to upload files in Doc File,PDF,PPT format. Facility to add Opening Notice for Colleges. Facility to add E-announcement for students. Manage Testimonials or Feedback given by User. Add Career and Courses information. Register student with Name,Qualification,Passout Month ,Passout Year,Marks or CGPA,DOB,College,Mobile No,Email. Upload Resume in Doc File,upload Profile Picture. Display Notifications for Assigned Test,Videos. Search Test by Category . Answer Key provided with result. Display Concepts and Study material chapter wise and facility to avoid data to be Copied. Facility to Build Online Resume. Download Sample Resume ,Sample Placement Papers. Display Job list ,Student can apply for job. Post a reply to questions. Display company profile list of IT companies and Non -IT companies. Display Test Pattern of Companies. It shows Test result section wise.Display total questions section wise,Correct attempts of questions sectionwise,Incorrect attempts,Non attempted question count. 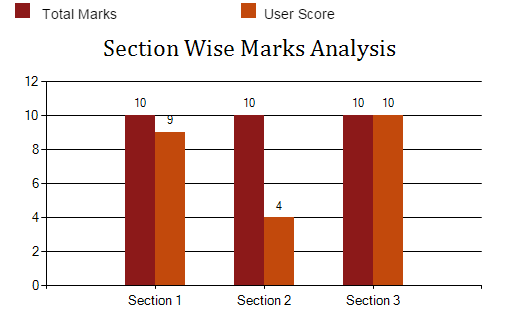 It shows total marks and User score section wise. 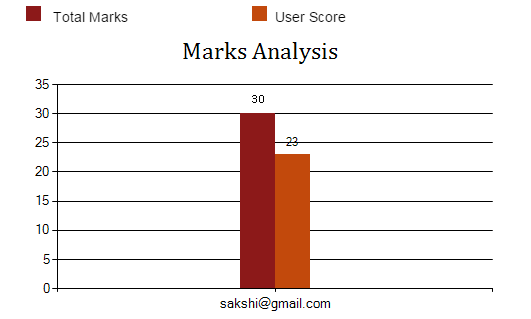 It shows total marks of Test and user score. 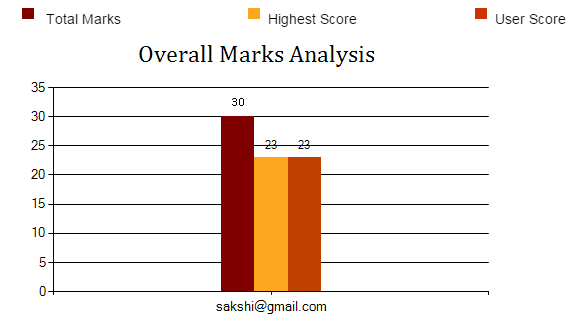 It shows overall marks analysis.Total marks of a particular Test,User score,Highest score amongst all user.